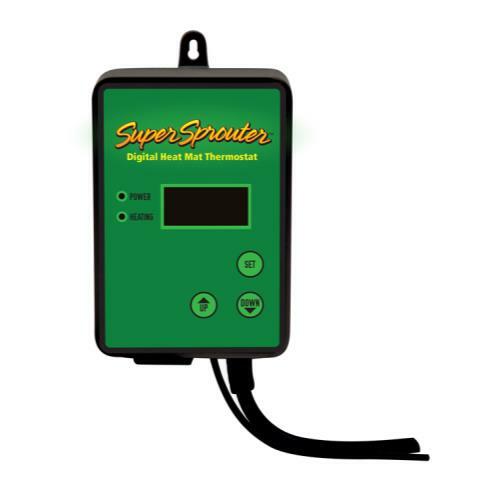 The Super Sprouter Seedling Heat Mat will help you improve plant germination and increase seedling/cutting root production. This easy to use matt lays underneath your propagation trays, slightly warming them and providing ambient, ideal temperature for your sensitive cuttings and seedlings. 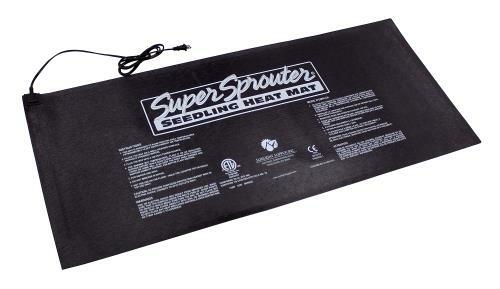 Super Sprouter Seedling Heat Mat is excellent quality and can be attached to an optional thermostat for precise control. 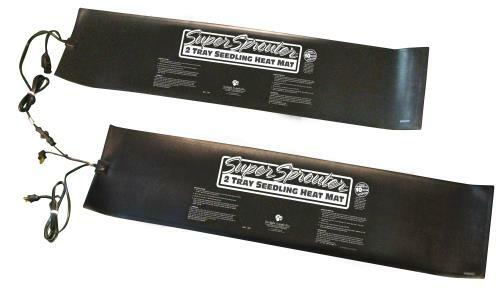 This Heat Mat allows you to place trays together length wise to provide heating for multiple propagation trays, perfect for a 4ft grow light. This Heat Mat is also Chainable, allowing you to place 10 mats together to provide heating for multiple propagation trays. 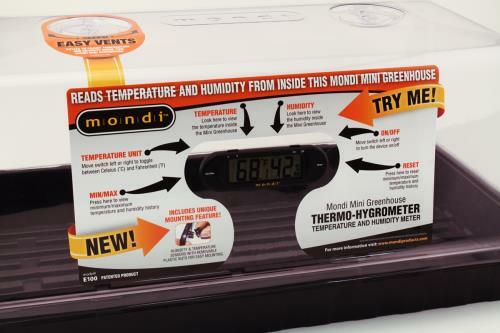 Proven to improve germination! Dimensions: 12 in. x 48 in. 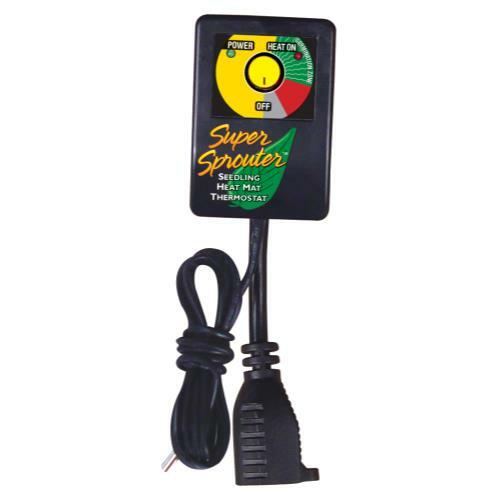 Comes with a 5 ft 120 volt power cord. One mat uses 60 watts. Thermostat sold seperatly. Part number 726702.